That’s a massive jump for Alexa. Any clue why? I haven’t been able to figure that one out yet. There was a contestant on Dancing with the Stars named Alexa in late 2015, but that was probably too late in the year to have an effect. Alexa is Amazon’s “personal assistant”, similar to Siri and Cortana. There have been several TV commercials featuring people talking to “Alexa”. @Becca – I thought about Amazon’s Alexa, but neither Siri nor Cortana saw that degree of increase on the charts when the corresponding virtual assistants came out, so if the Amazon assistant is the cause, then that’s a pretty drastic difference. The explanation could be that Alex- names are more familiar to people, and therefore more likely to be picked up, but…I don’t know. I’m still holding out for an explanation from reality TV or something. Alaia and Briar were also celebrity babies, Briar is Rachel Bilson’s daughter and Alaia is the daughter of Adamari Lopez, I don’t know if either of them is popular enough to influence that much of a rise but it’s possible. It’s no surprise Isis dropped but all those spellings of Annabel were hit hard, is there a reason for that? You know, given the cult-ish way people people follow celebrity baby news these days (e.g., People.com’s celebrity baby blog) I wouldn’t doubt that those particular babies were the main influence. 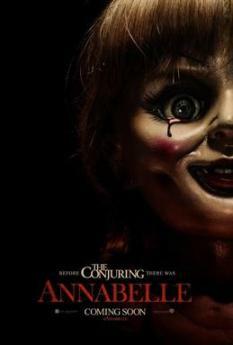 The best theory so far on Annabelle is the “evil doll” horror movie Annabelle that came out in late 2014. I like Danika I have a friend and she proununce it Dan-ika. My name is proununce Car-ee but spelled Kari. I have a best friend Danica she proununce it Da-ne-ca. I have a friend Keri she proununce it Carrie. Teachers mixed the four of us girls up all the time. I love having a unique name. Car-ee, but spelled Kari. I do like the name Danika.